A great wine at a very reasonable price; brooding dark fruits balanced very nicely by a refreshing acidity and good tannins on the finish. One to try with a well-hung steak, or other grilled red meats. Amalaya is the little brother of Colomé, a bodega alleged to have the highest in the world, at altitudes of up to 3,100 metres; Amalaya is down in the valley of Calchaquí, but still at around 1,700 metres altitude. To put that in context, Carrauntoohil, the highest mountain in Ireland, clocks in at a mere 1,038 metres. The climate is very dry, with huge swings in temperature between day and night, and very high levels of luminosity. 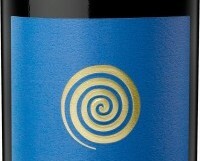 This gives a unique combination of very bright ripe fruit with excellent acidity. Colomé is worth looking out for, but will set you back €25+. The Amalaya, made from 75% Malbec, with 10% each of Cabernet and Syrah plus a little Tannat, is cheaper and very, very good. Available from; Mitchell & Son, chq, Sandycove & Avoca Kilmacanogue; Grenn Man Wines, Terenure; World Wide Wines, Waterford.